The District celebrated the groundbreaking of its two new elementary school buildings on the evening of Tuesday, May 22. Board Members, Administrators, staff, parents, students and elected officials were in attendance at both locations to celebrate the occasion. On April 16, iCON Construction met with nearby neighbors to inform them of what to expect with the construction process over the course of the next year or so. If anyone has any questions or concerns with the construction process at any point, please contact the Project Manager, Chris Heasley at 440.600.1060. The District's architects, Fanning Howey have provided the community with a brief presentation of the site plan and exterior and interior photos of the new elementary buildings for the Madison Avenue site and the Concord-Hambden site. The Riverside Local School District Board of Education and Concord Township Trustees have reached a settlement agreement. 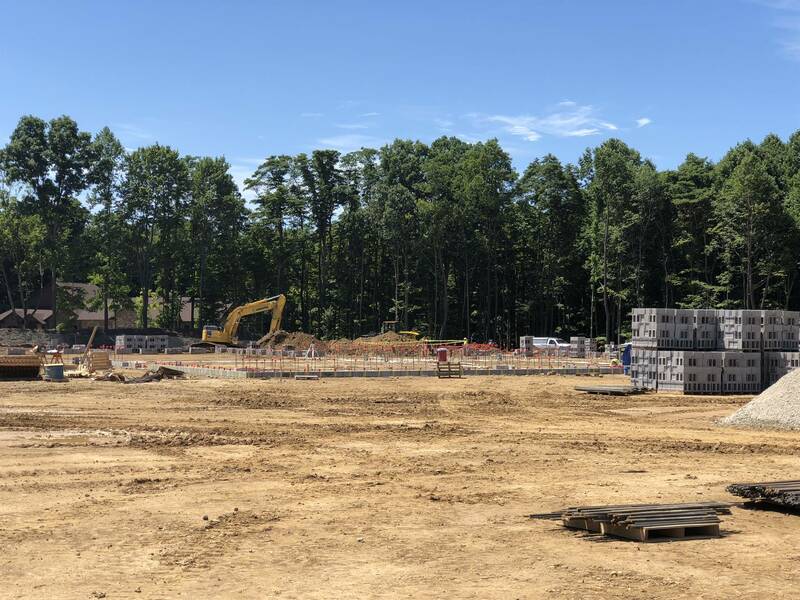 The settlement agreement allows the District to continue its plans to construct a new elementary school building at 12428 Concord-Hambden Road in Concord Township while making minor adjustments to its original site plan. As part of the settlement, The District is immune from portions of the township zoning resolution at 12428 Concord-Hambden Road but agrees to: plant additional, taller trees along its property lines; remove plans to construct a baseball field; meet with township officials and the Lake County Sheriff’s Office to establish an exterior lighting schedule; meet with township officials monthly to discuss operational issues once the school is open; install a STS field in compliance with Ohio EPA (which the District had already been in the process of doing) and the District agrees to be responsible for any changes or reduction in quality to a Natural Spring at a nearby property – if the changes or reduction in quality is proven to be from a direct result of Riverside’s construction process. Although a baseball field will no longer be constructed, there will still be an open greenspace area for children to play and exercise on the property. The District is looking to break ground on both locations by late March or early April. Both buildings are scheduled to be open for the 2019-2020 school year. At the December 2017 Board of Education meeting, representatives from Fanning Howey conducted a virtual tour of the new elementary buildings. You can view the virtual tour below. *PLEASE NOTE* this is not a representation of building colors. It's a model that is intended to show you the form and the scale of the building, but not the finishes or the color selections. To read the District's statement about Concord Township Board of Zoning Appeal's decision to deny a conditional use permit, click here. There are several steps the District must take before breaking any ground. Since January of 2017, the Board, district administrators, staff, students and members of the public have been working together to create designs for the new buildings. Curriculum Director Melissa Mlakar conducted focus groups with teachers, students and community members to gather input from all stakeholders regarding the design and function of the new buildings. Members of the focus groups have been meeting bi-weekly to discuss the new facilities. In addition, board members and district administrators visited several new schools across Ohio to get a feeling for different designs, floorplans and classrooms. On March 21, 2017, The District hired a Construction Manager at Risk (ICON) using funds from Issue 5. The District is also working with Fanning Howey, an architecture, engineering and interior design firm to help with the new facilities. The Riverside Local School District’s Board of Education voted to purchase land at 12428 Concord-Hambden Road in Concord Township to build an elementary school following the passing of the District’s bond issue in November. The Bond Issue allows the District to construct two larger elementary schools while closing Hadden, Hale Road, Leroy and Madison Avenue elementary schools, which are a combined 346-years-old and have become increasingly expensive to repair each year. The sites for the elementary schools will be the current Madison Avenue site in Painesville Township and the Concord-Hambden Road site in Concord Township. The estimated timeline to open the schools to students is August 2019. The price to purchase the property, which is 10 acres, was $325,000, which will come from funds from the Bond Issue. The District will begin looking at possible designs for the two elementary schools before breaking ground. The Riverside Board of Education voted to approve - and move forward with - the District's Facilities Plan in February of 2016 which consists of a three-phase plan to build new schools. The District’s Facilities Committee created a plan to solve the issues of declining enrollment and worsening conditions of all the current facilities within the district. Phase I - In November of 2016, the District passed a 1.92-mill bond levy (Issue 5) that will raise $38 million to construct two larger elementary schools while closing Hale Road, Hadden, Leroy and Madison Avenue elementary schools upon completion of the new construction. The new buildings will be located at the current Madison Avenue site in Painesville Township and 12428 Concord-Hambden Road in Concord Township. 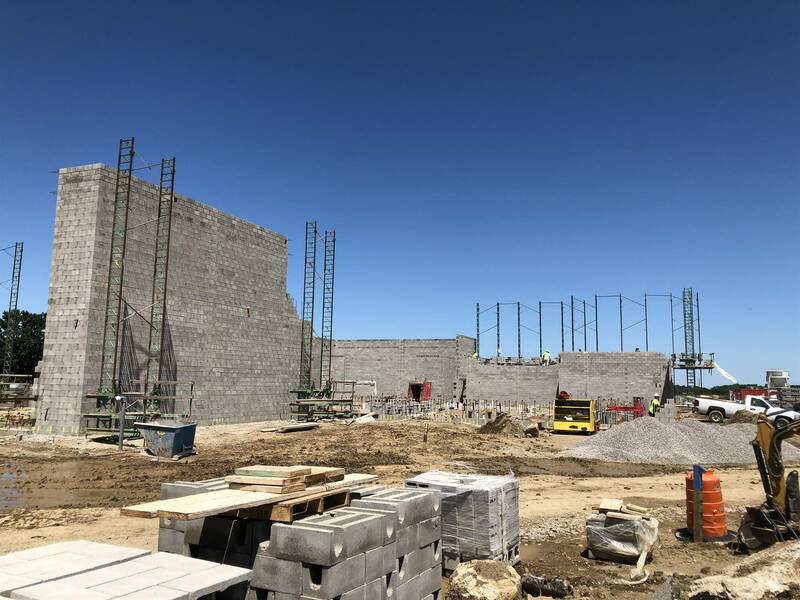 Phase II - Raise approximately $77 million which would require the passage of approximately a 4.3-mill bond levy (at a later date) for construction purposes that would construct a new 6-12 campus (a 6-8 Middle School and a 9-12 High School). Phase III - Repurpose LaMuth Middle School into an elementary school that would require no additional funding and then close Melridge Elementary and/or Buckeye Elementary (depending on enrollment at that time). In conclusion, the District would have three elementary schools at about 600 to 650 students each and a 6-12 campus. An estimated timeline would have Phase I being completed by August of 2019. The District scheduled informational community meetings at each school in the District to inform residents about the Facilities Plan in the Spring of 2016. Those meetings were open to the public where participants were encouraged to ask questions about the plan. Throughout the summer and the fall of 2016, the district held more than 30 smaller community/neighborhood meetings to discss this plan with interested residents.